Standard and Intermediate modulus materials. 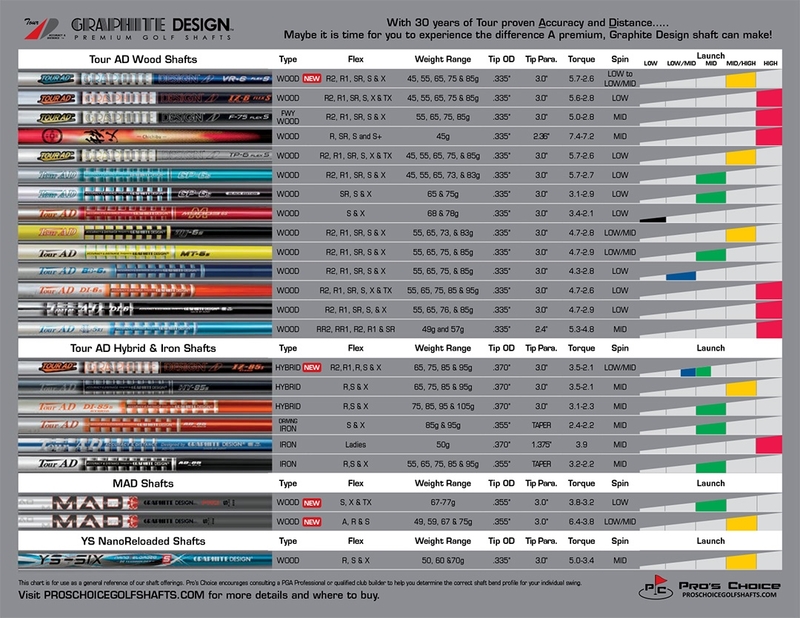 Great all around shaft for players looking to upgrade to graphite shafts at an economical price. Designed to allow the club builder additional flexibility for tip trimming options to promote optimal launch angles and ball spin rates.